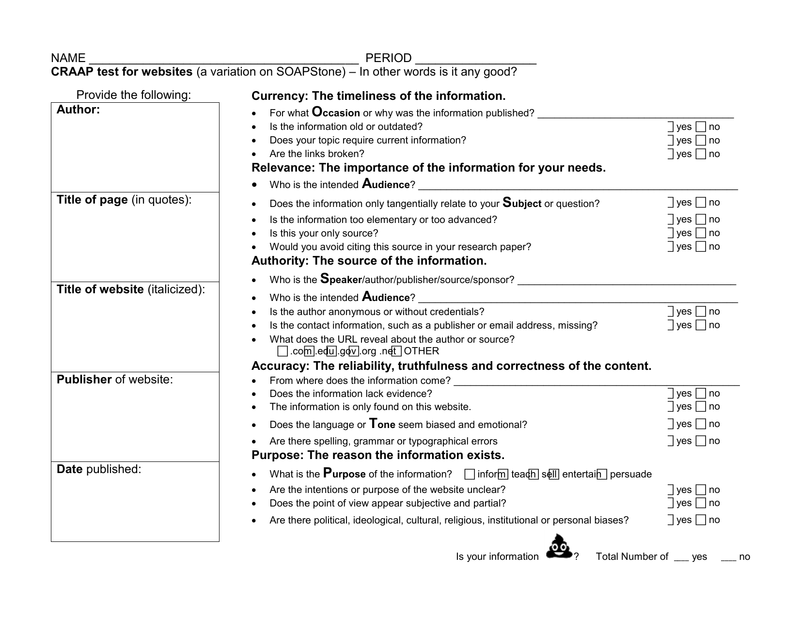 CRAAP test for websites (a variation on SOAPStone) – In other words is it any good? Is the information old or outdated? Does the information only tangentially relate to your Subject or question? Is the information too elementary or too advanced? Is this your only source? Would you avoid citing this source in your research paper? Is the author anonymous or without credentials? Is the contact information, such as a publisher or email address, missing? What does the URL reveal about the author or source? Does the information lack evidence? The information is only found on this website. Does the language or Tone seem biased and emotional? Are the intentions or purpose of the website unclear? Does the point of view appear subjective and partial?